Home Investments Roth IRA vs. Traditional IRA: What’s the Difference? Roth IRA vs. Traditional IRA: What’s the Difference? For 2019, a traditional IRA is fully tax deductible if you or your spouse is not participating in a retirement plan at work, regardless of income, or even if you or your spouse do participate but your income is less than $74,000 for an individual or $123,000 if filing jointly. “Otherwise, you can still make a contribution but the tax deductibility is quickly phased out above those levels,” says Dallas, TX-based Dan Stewart CFA®, president, Revere Asset Management, Inc. 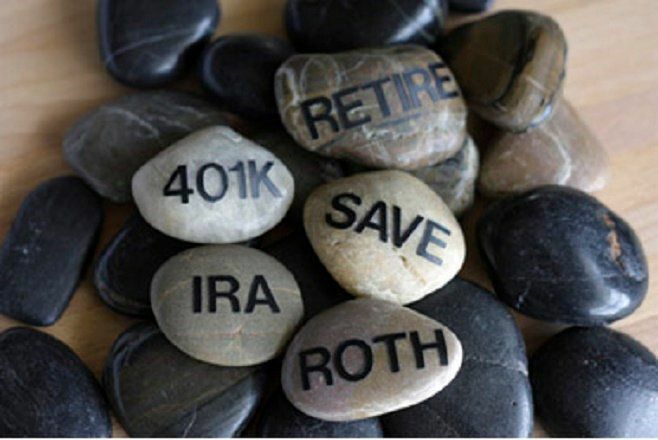 Contributions to Roth IRAs are never deductible. If you are eligible to contribute to both types of IRAs, you may divide your contributions between a Roth and traditional IRA. However, your total contribution to both IRAs must not exceed the limit for that tax year (including the catch-up contribution if you’re age 50 or over). Contribution Limit The year’s regular contribution limit plus a catch-up contribution for those at least 50 years old by year end. The year’s regular contribution limit plus a catch-up contribution for those at least 50 years old by year end. BHP Billiton (BBL) Shares March Higher, Can It Continue?